What is to be done when a community of faith experiences division? The letters of 1-3 John nurture and strengthen believers while being realistic about those who are causing problems. Love one another and be hospitable, but beware of rabble-rousers and do not back down in the face of their troublemaking ways. First John was written during an era when the church was splintering over different beliefs about the humanity of Christ (see 1 Jn 2:19). The goal was to strengthen the fellowship among like-minded congregations. The writer of 1 John challenges the claims from rival versions of the faith, tests each one, and then fully discredits them. His advice on how to respond to such dangerous beliefs? Demonstrate the ideal Christian life, teach followers how to tell the difference between those who are genuine and those who are false, and call people to remember what they have heard from the beginning of their faith. Similarly, 2 John emphasizes the serious nature of false teachings and encourages readers to be on their guard. 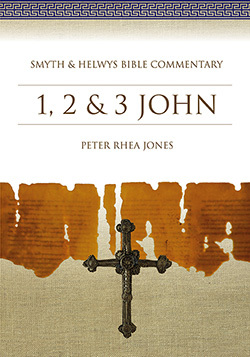 The briefest book of the New Testament is 3 John, but its message is an important one. It compares the warmth and generosity offered by two different leaders of that religious community. A man named Gaius offered hospitality while a leader known as Diotrephes denied it to others. Peter Rhea Jones is the J. Truett Gannon Professor of Preaching and New Testament at the McAfee School of Theology at Mercer University in Atlanta. He was born in Dyersburg, Tennessee, and earned a BA in English (with a minor in religion) from Union University, an MA in English literature at the University of Mississippi, an MDiv and PhD from Southern Baptist Theological Seminary, and a ThM from Princeton Theological Seminary. He served on the faculty at Southern Seminary and then became pastor of the First Baptist Church of Decatur. 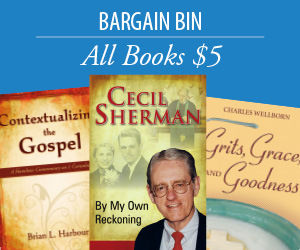 He published The Teaching of the Parables in 1982 and later a major revision in 1999 under the title of Studying the Parables. Ellen and Peter Rhea have three children and eight grandchildren.